RAJBIRAJ, April 10: Domani Devi, 90, has not received old age allowance for the last six months. Because of it she has been forced to ration food, clothes, and even medicines among other necessities. The allowance is her sole source of income and survival. “The allowance has been my savior for the last two decades. It had been providing all my necessities. I managed food, cloth, drugs, everything with it,” she said “Since the last six months I have not received it and as I didn’t have savings to bear my living costs, it has been very hard to sustain,” she added. The last she received the allowance was in October, 2016. The amount lasted around one and half month and it has been extremely hard for her to sustain since than. It is not that Devi does not have sons and daughters to take care of her. But, none of them are economically sound to support her, she says. She does not feel bad about it. “They do not have enough to feed for themselves and their children. How can they look after me? I was getting certain amount every month from the state and that was enough for my survival,” said the old mother. In fact, the allowance she would get was not meant only for her. She cites several instances when she helped her children during their hour of need. “It is difficult for them to feed so many children with the earning of one. When I used to get the allowance I used to help them as well,” she said. Devi is a representative case of how elderly people from poor families depend on old age allowance. With no other source of income, for some it is the lifeline of the whole family. The District Development Office (LDO) states that there are over 50,000 elderly people, disabled and widows who are entitled for the social security allowance. None of them have received it since the last six months. The reasons for not distributing are multiple. DDO officials cited strike by local body officials, dispute over the demarcation of the local level units, padlocking of government offices by political parties among others as some of the reasons behind the delay in distribution of the social security funds. “I suffer from asthma. 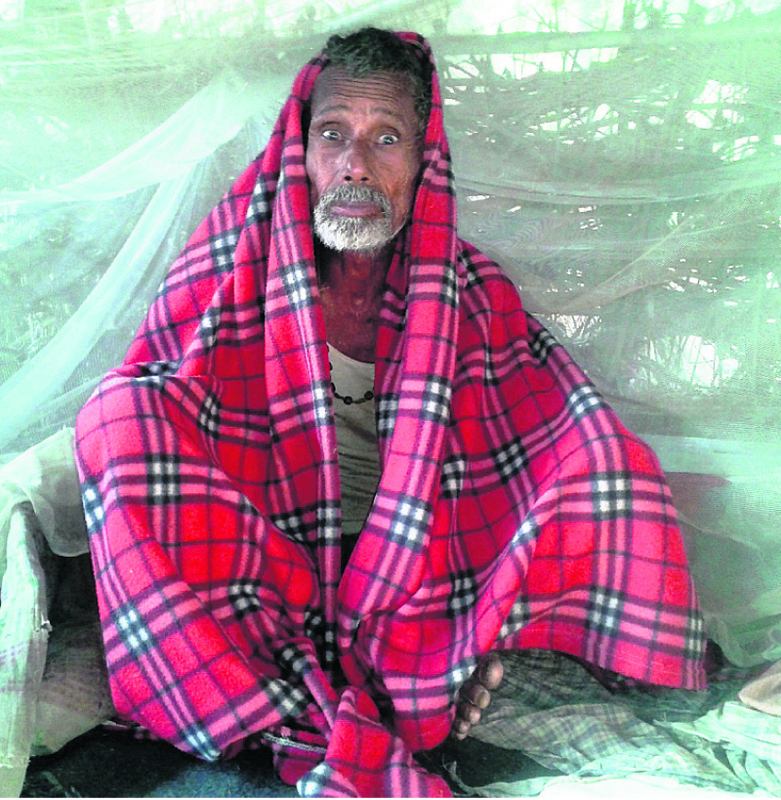 I cannot skip my drug for even a single day,” said Belai Mukhiya, 72 of Sarakapura village. “I have not received my allowance since October. So far I have been buying medicines and other necessities by taking loans from my villagers but since they are also poor I don’t know how long they will be able to assist me,” he said adding that the local pharmacy has already shown reluctance to give him the medicine on credit. Senior citizens are entitled to a monthly allowance of Rs 2000, of which Rs 1000 is provided as medical expense and another as social security allowance. The amount used to be disbursed every four months providing the recipient with a total of Rs 8000. Harihar Chaudhari, chief of Social Security Branch at the DDC shared that the elderly people were very happy with the funds as it ensured their well being. “Rs 8000 might look like a meager amount for some but it’s not for the poor and the needy people. They are fully dependent on it. We are very sorry for not being able to disburse the amount so far this year,” Chaudhari said. Khattahar Ram, 70, of Portaha village agrees. He stated that he has managed without food for many days as he could not afford to buy. Without the allowance, many people like him have been facing this fate, he shared. “We don’t have the strength to do manual labor to earn a living. Whatever was provided by the state in the form of the social security allowance had been providing for our living. In its lack, our survival has been becoming very difficult,” he said. Several parts in Madhes have remained disturbed because of the confrontation between political parties and the government. For the poor people like Ram, such political causes do make not much sense. “When we are struggling for a square meal, how can we think of revolution and change? Survival comes first,” he said while sharing his stance on the protests launched by political parties in the region. “I don’t care what the political parties are up to. People like me would be grateful if the government would provide our allowance at the earliest,” he stressed.